This kind of questions a emerging again and again in medium articles , blog posts , on conferences  and even during private conversations. This is how innovation is affected by it's lifecycle. 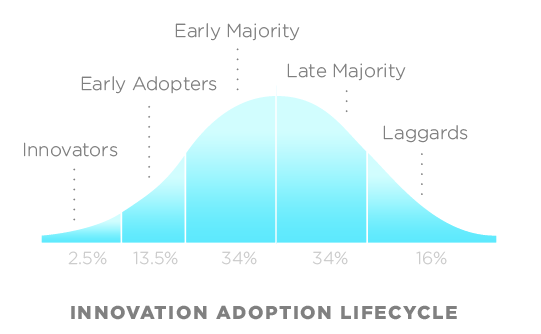 What is not shown in this picture is information about how many fade into obscurity, just after Innovators or Early Adopters phase. Popularity and trends are an inevitable part of how we create software. It affects a number of people that are willing to join the programming team. It does not mean that we should stop innovation at all, only that always evaluate all trends and incorporate those of them, that are beneficial to our project. As a summary I will leave you with this great talk called The Future of Programming by Bret Victor. What are your thoughts of this matter. Share in the comments.